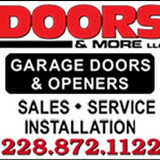 Doors & More, LLC is a commercial and residential full service garage door company serving Ocean Springs, Biloxi, Gulfport, Gautier, Pascagoula and surrounding cities. Our goal is to provide you with excellent customer service at a competitive price, while still offering warranties on most of our services and products. 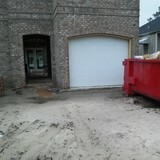 What kind of services do Pearlington, MS garage door dealers and installers provide? Garage door professionals specialize in the selection and installation of residential garage doors and openers that fit your budget, style and needs. 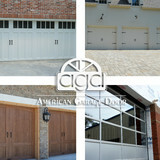 This includes choosing a garage door style — or designing a custom garage door — that blends in with your home’s exterior, selecting materials, determining a technological system that supports your security and access needs, determining proportions and dimensions, finalizing decorative designs and ensuring that everything meets Mississippi compliance and building codes. Find garage door sellers and installers in Pearlington, MS on Houzz. Narrow your search for Pearlington, MS garage door sellers and installers by selecting the nearest city or zip code. Look at portfolio and product photos, and read reviews to find the best Pearlington, MS garage door professional for your home.